From SD Toys. 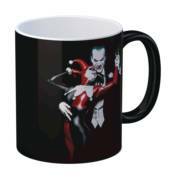 Take your morning coffee in style with these unique DC Comics mugs! Each mug comes packaged in an attractive window box for a perfect gift for comics fans!